Starwood Hotels & Resorts Worldwide has formed an agreement with real estate developer Dubai Properties to open four new hotels in Dubai under Starwood's Aloft and Element brand flags. 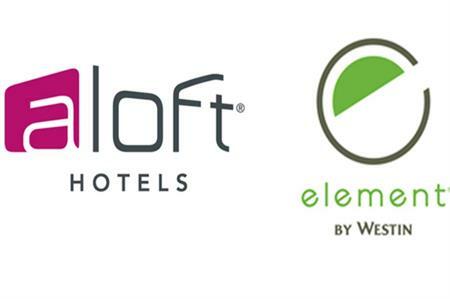 Scheduled to open in 2018, the four new Aloft hotels and Element hotel will introduce 816 rooms in Dubai. Michael Wale, president, Starwood Hotels & Resorts,Europe, Africa and Middle East, said: "Aloft meets Dubai’s demand for mid-scale hotels in both urban and industrial areas that bring life, innovation and personality at a great value." The three new Alofts in Dubai will feature the brand’s signature bar, a grab and go eatery open 24 hours a day and an all-day dining outlet. Aloft Dubai Dubiotech will have 227 rooms and three meeting spaces, while the 200-room Aloft Dubai Sutdio City willoffer a meeting area of up to 120sqm. Aloft Dubai IMPZ will be located in Dubai’s dedicated media production zone, International Media Production Zone (IMPZ). The hotel will offer 221 guest rooms and will serve as a hub for the art, printing, publishing and media production businesses in the area.